When it comes to weight loss, there’s no shortage of activities and equipment you can use to help you reach your ideal weight. But with all the options you can choose from, it certainly begs the question—which one actually works? There’s plenty of articles that tout about the merits and demerits of various exercise regimes and gym equipment, so it can be easy to get lost in your hunt for the “best”. But while what’s “best” really varies from person to person, particularly when it comes to exercise routines, there’s no denying that these five gym equipment are tried-and-tested weight-shredders that actually show results you can sees. 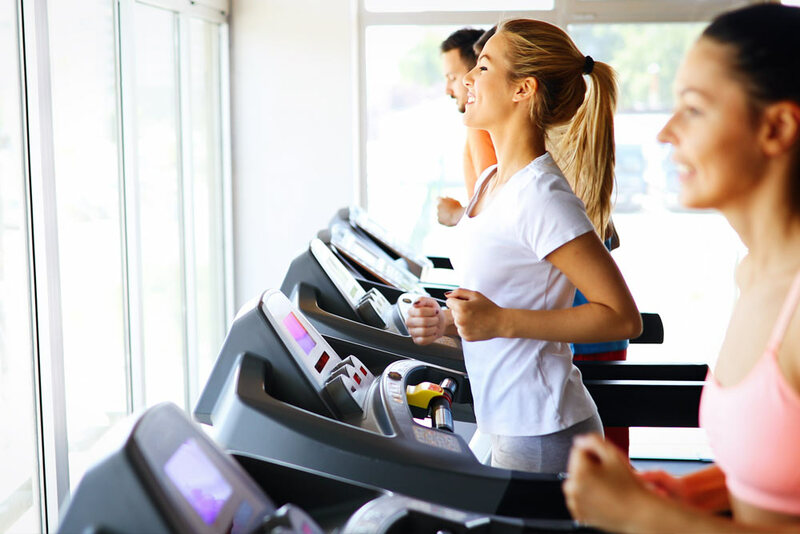 Treadmills are staple of any gym for a very good reason: they’re easy to operate and they get the job done. The simple act of walking greatly benefits your whole body, from the lower body muscles it tones and works out, to the improved circulation and cardiac health it promotes with any increased physical activity. The treadmill maximizes this exercise, giving you a full body workout with an activity your body already knows very well. With the simplicity of the motions required on this machine, the treadmill doesn’t take much concentration to operate, freeing up your mind to focus on other things, like the report you’ve been reviewing, or the series you’ve been watching. It’s easy to multitask on the treadmill, which makes this a crowd favorite for many urban gym goers. For best results: Commit around 30 minutes a day to the treadmill. Even a slow pace of five miles per hour (think leisure walks) is guaranteed to shed some pounds. Maximize this exercise and don’t hold on to the handrails so it becomes a full body workout. You can bump up the pace to a brisk walk, a jog, or even a full on run. Some treadmills also incline, which significantly enhances the exercise. Another classic gym equipment is the stationary bike. Much like walking, cycling offers similar, full body benefits, with the added bonus of being a non-bearing exercise that makes it easier on your body. Because cycling doesn’t strain your body as much as walking, you can actually squeeze in longer and more intense workouts on this machine. Working on this machine for 30 minutes a day also guarantees positive outcomes like marked weight loss, better toned body, and overall improved health. For best results: Consider joining a spin class or group cycling sessions. Some groups use a different indoor bike than the generic, stationary one, which is designed differently and generally adhere better to a cyclist’s form, making it a more comfortable option. It’s also easier to keep the pace when there’s an instructor coaching you through the set, and there is music blaring loud to match the rhythm, and lastly, a sense of unity that you get in doing an activity as a group than doing it alone. If you’ve ever found yourself catching your breath after climbing a flight of stairs or two, you should definitely give stair machines a go. Climbing is a veritable font of health advantages, and scaling even a single flight actually does your body a wealth of good. To begin with, not only are you moving your whole body with every step, you’re also working against gravity when you climb up. This adds up to the work out, burning more calories than many horizontally-aligned exercises. Fifteen minutes a day suffices for a moderate workout on the stair machine, but you can always bump it up to a half hour routine. For best results: Take the workout even outside the gym by making a habit of using the stairs at work (or in your home, if applicable). However, be mindful of knee or foot problems when doing this exercise, as the repeated weight-bearing action can have serious consequences. Another fantastic machine to work on is the elliptical. Being something of a cross between a treadmill and a stationary bike, you can expect this equipment to bring the best of both worlds. It gives you the full body workout with similarly easy and familiar movements, while providing support to the knees, hips, and backs that a full bearing activity (like walking) lacks. In addition, the elliptical is also specifically designed to directly work the upper body, with poles fashioned to simultaneously exercise your arms together with your legs. For best results: A half hour on the elliptical is a good habit to form, and it really makes a difference to your weight loss goals. 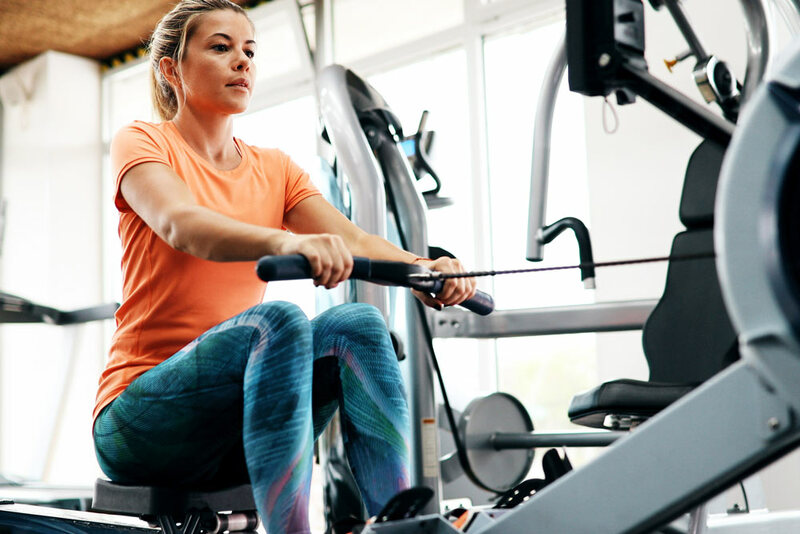 If your machine has the reverse option, take advantage of this feature and be sure to also include reverse pedaling in your routine to also work a different set of muscles. If you’re gunning for a heavy-duty cardio workout, look no further than the rowing machine. While not every gym has this, its returning popularity means that more and more fitness centers are reinstalling this so be sure to check this out if your gym has it. Unlike the other machines that require longer periods of time, even ten minutes on the rowing machine should lose you a great deal of calories. This equipment makes use of a big range of motion that works out all core muscle groups, requiring coordinated effort between your lower and upper body. While emulating the actual motion of rowing a boat is a plus, it’s not required to operate the rowing machine. Simply going through a similar movement should suffice, but be careful to check in with your gym’s trainer to make sure you’re not making any harmful actions. For best results: Make sure that your form and technique is appropriate not only to actually work out what needs to be worked out, but also to prevent any injuries or accidents. If in doubt, get the help of professional trainers and have them guide you through the process until you’re sufficiently comfortable with the machine. Everyone’s fitness journey is a personal experience, and there is no cookie-cutter, blanket routine that would work for every single person. Always remember that what may work for another person may not necessarily work for you, and vice versa. Nevertheless, it won’t hurt to consider some of the more tried-and-tested routes to get you started on your own, unique weight loss journey. 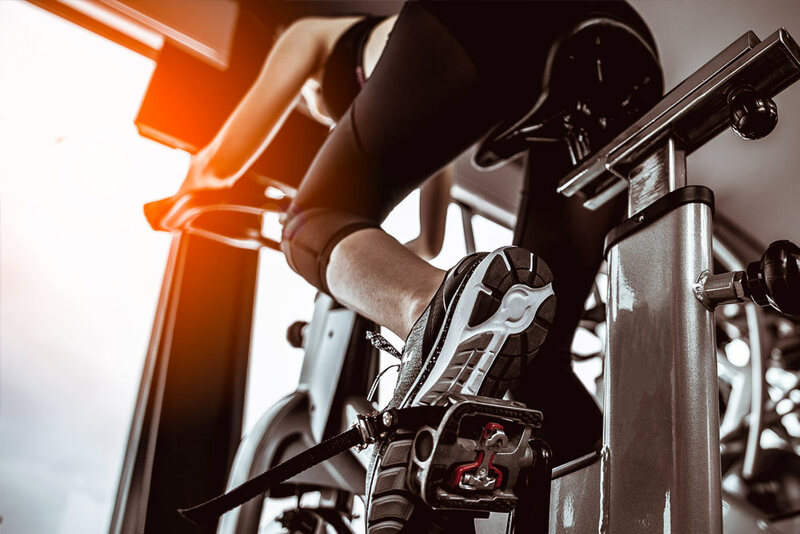 Consider the treadmill, stationary bike, stair machine, elliptical, or rowing machine in your effort to reach your dream weight, or seek the help of our certified trainers at Rec Xpress who can provide you with correct assistance and guidance at each step of your fitness journey. At $11 per week with no lock-in contracts, you can test out every machine on our fitness club, and not worry about being stuck in a long-term commitment.